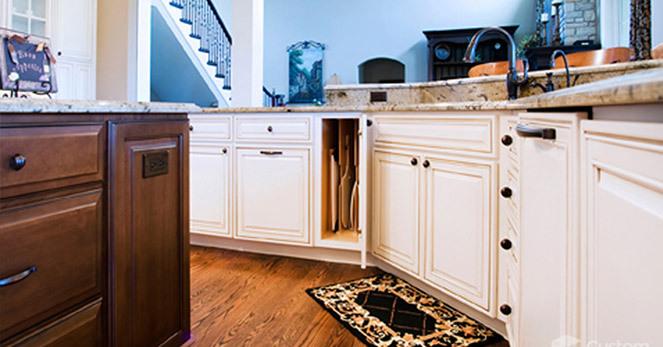 We’re Not Jack-Of-All Trade Remodelers – We Only Do Kitchens And Cabinets. And We Only Do Them One Way… PERFECTLY. Have you ever noticed how most contractors and remodelers — from Allentown to Dunmore — seem to be “jack-of-all-trades?” Roofs, windows, bathrooms, kitchens – they do it all. But is this really a good thing? In our over 25 years of experience we have come to the undeniable conclusion that going to a “jack-of-all-trade” home remodeler for a kitchen remodel is like going to a general surgeon when you need a cardiothoracic specialist. Sure, the general surgeon can probably get the job done but the chances for them making a mistake are pretty high. In home remodeling those mistakes, oversights, and failure to plan for the unexpected is what leads to construction delays, re-work, and higher costs. That’s the difference between an expert and an amateur. While other remodelers are perfectly fine with construction delays, cost overruns and re-work, we’re not. All we do is kitchens – we are your kitchen remodeling experts. From design to construction to completion, your kitchen remodel will be in the hands of highly trained and highly experienced individuals whose only goal is to make sure you get the kitchen of your dreams… and all in about a week. To top it off, we only use the highest quality products and materials during your installation. Why? Because you want a kitchen that is going to look beautiful – and last – for years to come and that’s EXACTLY what we deliver. Not only that but we can easily do cabinets for other rooms as well as custom vanities, bookcases, desks… pretty much anything that involves woodworking. We provide kitchen remodels for many areas of Pennsylvania, including Allentown, Bethlehem, Clarks Summit, Bloomsburg, Kingston, Mountain Top, Danville, Lehighton, Stroudsburg, Dunmore, Dallas, Berwick, Quakertown PA Area, Quakertown, Doylestown, Emmaus, Lansdale, Sellersville, Coopersburg, Perkaise, Newtown, Levittown, Willow Grove, Collegeville, Macungie, Nazareth, Northampton, Reading, Pottstown and more. To find out more about our kitchen design/remodeling and the types of flooring, cabinetry, and countertops we provide, we carry just click below. Start To Finish You Will Know You’re In The Hands Of EXPERTS. Stunning, Beautiful, Flawless… And All In About A Week. If We Won’t Put It In Our Mother’s Home – We Certainly Won’t Put It In Yours. Remodeling A Kitchen Doesn’t Have To Be Complicated – But It’s Only Logical That You May Have Some Questions. Seeing Is Believing – See our work, notice our quality, find your inspiration.